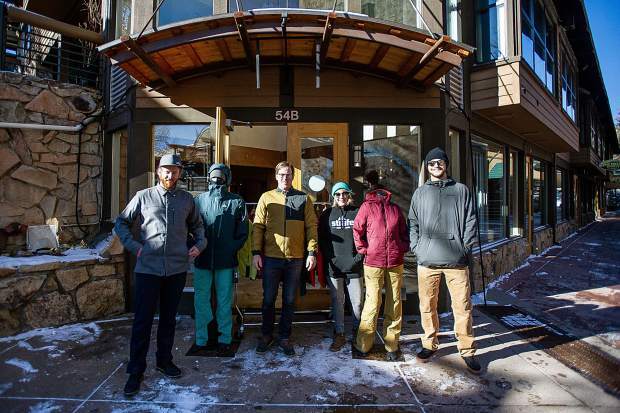 A few members of the Strafe team, left to right, Carl Walker, Matty Swanson, Pia Halloran, and George Rodney outside the space for a shop opening soon in the Snowmass mall for Strafe Outerwear that was previously the Ice Age Discovery Center. With a change in hands and a shifting of seasons, the Snowmass Mall will welcome this winter a popular local retailer, a new gastronomic offering and plans for four employee-housing units. For Strafe Outerwear, an Aspen-born ski apparel company, a spacious new Snowmass shop marks the company’s first expansion beyond its Highlands headquarters. Another local duo also hopes to fill a niche in the village by offering fresh, authentic Thai fare in a mom-and-pop-shop setting. 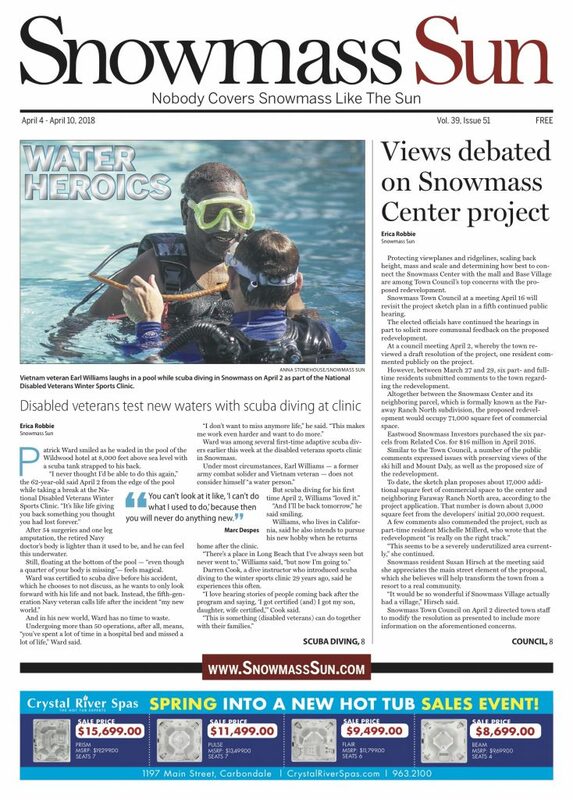 Dwayne Romeo, president of the Romero Group which bought the majority of the Snowmass Mall in late June, said both additions align with his goals of supporting local businesses and making the mall cool again. 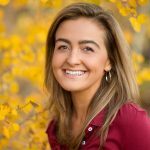 The Romero Group acquired 80,000 square feet of the mall, consisting of the shops from Fuel Cafe at the entrance to the mall to Gorsuch and Christy Sports, for $28.5 million, according to Pitkin County records. 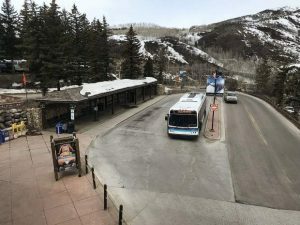 Romero also revealed plans to convert about 2,000 square feet of office space behind the Snowmass Village shuttle station on Daly Lane into four employee-housing units. Complementing the new, a number of longtime mall restaurants — such as the Stew Pot, Big Hoss Grill and Little Mammoth Steakhouse — have signed “multi-year” extended leases, Romero said. Big Hoss and Little Mammoth Steakhouse also are considering expansions into vacant adjacent spaces, according to Romero. 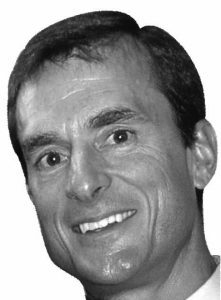 Establishing a presence in Snowmass is “the next logical step” for Strafe, chief operating officer Carl Walker said. In fact, Strafe had been eyeing the village for “a while” before Romero approached the company with the opportunity to take over the more than 2,000-square-foot space that previously housed the Ice Age Discovery Center. The Discovery Center, which the town of Snowmass operates and funds, recently moved to a smaller, second-floor space above the former Rocky Mountain Chocolate Factory and future home of Grub Thai. Dissatisfied with how their apparel held up while hiking and skiing the Highland Bowl, twin brothers John and Pete Gaston started Strafe in 2009 to create more breathable and better-quality products. “They saw a gap in the market putting together really technical apparel that wasn’t out there,” Walker said. He and a few other staffers joined the Strafe team in 2014, which he called “a pretty big year” for the company. While Strafe enjoyed steady growth in its early stages, the brand’s reach has exploded in the past three years. Prior to the 2015-16 ski season, for instance, Strafe distributed its products to 11 shops within the Roaring Fork Valley. Three winters later, this season’s Strafe goods can be found in 150 stores across seven countries. Along with spreading out and displaying its colorful line in a “marquee-style” presentation, Walker said, Strafe will use its Snowmass shop as more of a community gathering and events space. “As our line’s been growing, the square footage of our store has not,” he quipped. Strafe’s new Snowmass storefront will be nearly four times the size of its roughly 600-square-foot Highlands showroom. “We’re thrilled to have a little bit more space to tell the story,” Walker said. Their goal is to be up and running and fully stocked in the new space by next week, he said. Strafe’s Snowmass shop will be open this winter seven days a week (exact hours are to be determined). Vladan Djordjevic may himself be an experienced valley restaurateur, but he promises to leave the Thai cooking to his wife, Prathuan Ratanapraphan, and her cousin, Phaiboon Noimuangkoon. Grub Thai will operate in the former Rocky Mountain Chocolate Factory storefront after the business broke its lease and quietly vacated the space earlier this year. The chocolate factory’s departure in Snowmass came after the landlord of the company’s former Aspen location, which is now Starbucks, would not renew its lease. The loss of the Aspen storefront altered its product delivery system, the company’s chief operating officer told the Sun earlier this year, meaning its Snowmass shop would be no more. 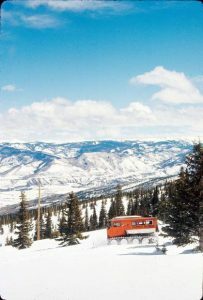 Djordjevic is no stranger to Snowmass or its culinary scene, having been involved in the now defunct Lime restaurant and bar, Little Mammoth Steakhouse, Slopeside Lanes and the former crepe and juice stand. His brother also is among the group of partners who owns Base Camp Bar and Grill, Slice, Sake and State 38 in Base Village. Outside the village, Djordjevic’s first local restaurant gig 10 years ago was at the Wienerstube in Aspen. 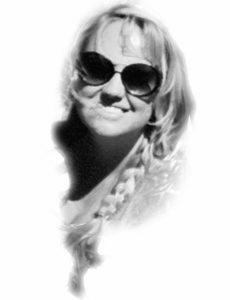 Today, the Serbia native co-owns the recently reincarnated Wienerstube in Basalt. His wife, Ratanapraphan, is from Phuket, a southern coastal province of Thailand, while Noimuangkoon hails from the country’s northern region. Djordjevic said Grub Thai’s menu, which the trio is finalizing, would offer a happy medium between traditional and Americanized Thai dishes. Flavors also will draw influence from both the country’s northern and southern areas, he said. The menu to date boasts a slew of noodle (including pad Thai) and rice bowls, a selection of three different types of curries, phos, soups, salads and more. Djordjevic said they are still pricing the menu but that it would be “affordable,” with the most expensive dish being $13 or so. Grub Thai, open seven days a week with hours also yet to be determined, will house about 30 seats as well as to-go and delivery options, according to Djordjevic. Snowmass’ newest eatery will open by Christmas, if not sooner, he said. Conceptual design of three studios and one approximately 500-square-foot one-bedroom apartment — located across from the Pokolodi Lodge and below Gorsuch — is complete, Romero said. While the deed-restricted spaces will be snug, the location is prime, he said. Romero confirmed Nov. 13 that he is meeting today with town of Snowmass staff to discuss the housing project’s next phase. “If the town allows it, the priority of use will be for (mall) merchants,” he said. Along with providing workforce housing, Romero said the repurposed development would help “add more occupancy and body heat” to the mall.